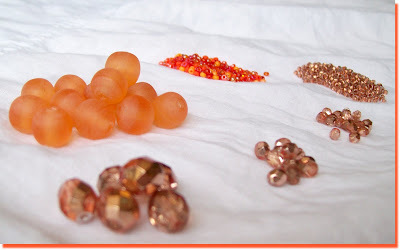 Amybeads: What's It To Hue? Tuesday + giveaway! Another Tuesday, another What's It To Hue? When saving some photos today, I was delighted to discover, the acronym for What's It To Hue? is "WITH". Not that "WITH" really has any relation to What's It To Hue?, but I get a general delight any time an acronym makes an actual word. Last week in my color queries, I found a very cool site, www.colorsontheweb.com, that I think I'm going to start using for What's It To Hue? It is a site intended for web site designers, and you 'spin the wheel' and it gives you three random colors. I think it's a perfect way to start selecting colors for What's It To Hue?! 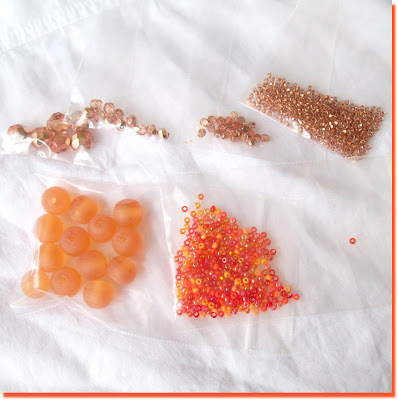 Or frankly - a fun site to use for any beading project. The site also has a very neat Color Wizard that is a great alternative to a color wheel. So the challenge this round will be to create something with these three colors. I usually do the reveal three weeks after I announce the color(s), which usually falls on the first Tuesday of the next month...however, this is a long July and to stay with the pattern, I'm going to still stick with our reveal being the first Tuesday of the next month - so the reveal will be on August 2. What would you call these three colors? At first glance I would call them orange, light orange and muted teal. 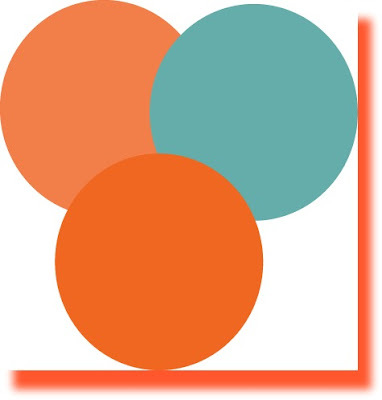 For any color essays I'm going to focus on orange, but I'd love to hear what you would call these colors? Apricot? Tangerine? What's It To Hue? All you have to do to win, is participate in the blog hop on August 2. Make anything using the colors noted above, and link up your blog to the reveal post. Make sure you wait until August 2, come back here and I'll have a Linky Tool at the bottom of the post - all you do is click on it, add the info for your post - and voila! - you are entered to win this little package of orange-y, copper-y fun! In next week's installment of What's It To Hue, I will talk a little bit about orange! Labels: giveaways, What's It To Hue? Oh you so know I am in on this one and I have the perfect bracelet I have been needing the inspiration to finish! But I have a favor...will you send me a reminder shout? I like those colors together. Am going to have to go through my stash and see if I have anything and if not.... muahahaha bead buying trip!